A strong web presence is so important! Most any kind of information can be found online. Just a couple search words can produce numerous options whether you're looking for merchandise, news, service contractors, resources or even (you guessed it) churches. Who would you like to see coming through your doors? There's now a whole generation of young adults who grew up online. The only typewriter they've seen is in Grandma's basement, they use the phone book as a door stop and they read the news"paper" online. They won't find you if they don't find you online. But, wait! Youth doesn't have a corner on this market anymore. 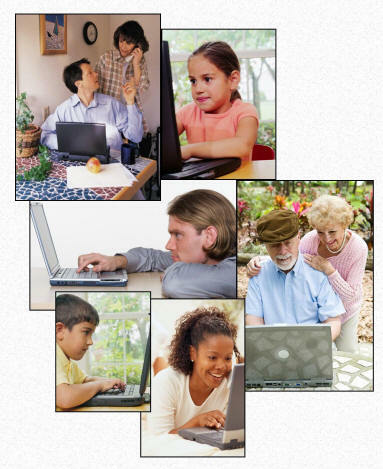 The fastest growing group using the internet now are retirees. It may seem like a foreign country to some of the over 50 crowd, but they are making the virtual world their new home!